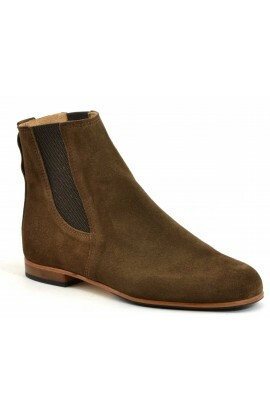 Very elegant and snug, this boot easy to put on, will also seduce you with its comfort and simplicity. The soft calfskin leathers used are resistant to rain. Fully lined model. Options: non-slip pads. Other colors, click HERE. Shipping included to mainland France. Very elegant and snug, this boot easy to put on, will also seduce you with its comfort and simplicity. The soft calfskin leathers used are resistant to rain. Fully lined model. Options: non-slip pads. Other colors, click HERE. Shipping included to mainland France. Picture no contractual. 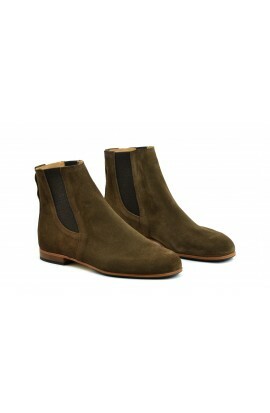 Very elegant and snug, this boot easy to put on, will also seduce you with its comfort and simplicity. Fully lined model. Options: non-slip pads. Other colors, click HERE. Shipping included to mainland France. Customized model +30€ included. Customized models can not be returned nor exchanges except in case of shoe size error. To custom your shoes with another color choose a standard model and customization option. 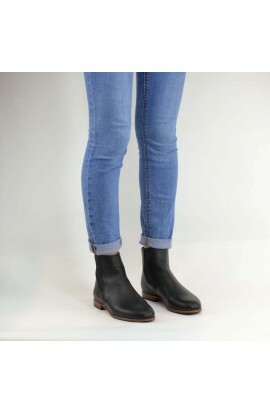 Very elegant and snug, this boot easy to put on, will also seduce you with its comfort and simplicity. Fully lined model. Other colors, click HERE. Customized model +30€ included. Customized models can not be returned nor exchanges except in case of shoe size error. To custom your shoes with another color choose a standard model and customization option. Very elegant and snug, this boot easy to put on, will also seduce you with its comfort and simplicity. Other colors, click HERE.